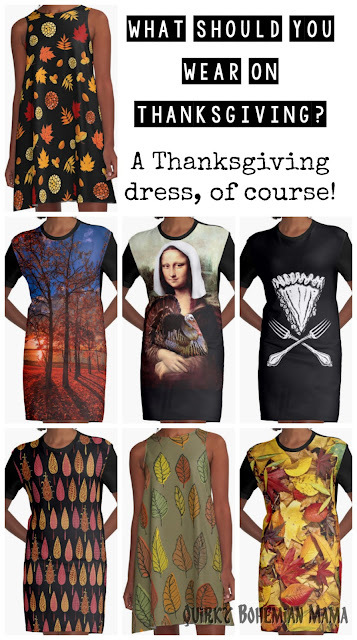 What to Wear on Thanksgiving? A Thanksgiving Dress, of Course! I've recently discovered a site call Redbubble and all I can say is "wow". WOW. Redbubble is an online community where independent artists sell their original art and photography prints. 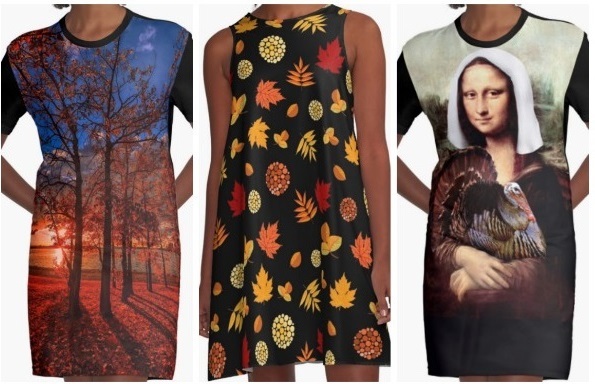 Whilst browsing for Autumn themed clothing, I came across a lot of great Thanksgiving art and discovered that much of it is available on Redbubble's A-Line and T-Shirt Dresses. Seeing that amazing art on dresses made me all giddy and I couldn't contain my excitement any longer. BOOM. A blog post was born. P.S. All of these dresses are available in sizes up to 2X. You're welcome. I looooove the first one! OH my! I've never even thought to look for fall related clothing for Thanksgiving. I really like the Autumn Leaves dress!